Hello. Hello. Real name is Juho but friends call me jubo, jubo-jubo, jubos, jubohi jubox, jukeboksi or juboxi so there we go. Will commute Metropolitan Helsinki area for 4 hrs work or more and will gladly travel worldwide expenses reimbruised . Copyleft tools preferred but will also work with proprietary software. I come from Finlan or fin de pays but this domain is from Ελλάδα. Thought I’d carry my straw to the heap. I am a #consumerempowerment, #copyleft, #wiki, #peace and #freesome enthusiast and occasionally ten thousand monkeys pounding on my midi controller. 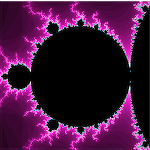 Consumerium motif is located in the Mandelbrot fractal third round thingy to the left. Also available in hues of orange and green. http://PalestineTunnel.org – The original boring lucid dream since September 2004. Jubo-Jubohi pledges 50€, only 14,999,999,950€ short (estimate). I would like to mention that 15B€ is only few hours worth of the World GDP. relaying service. Never ever again get bogged down by tie-in to email provider and never lose password recovery since the membership is for lifetime. Membership available to private individuals only. IKI has never needed to collect yearly fees as all services have been provided using just the revenue of more and more people joining and paying the 30€ membership fee. Member http://juho.iki.fi since 1996⁠ – Retro style, hand written php longevity counter, a perl script to convert MediaWiki and TiddlyWiki syntax and html from the last millenium. Moving along. Up-to-550GB storage, secure shell access, webmail, websites, httpd, php, individual sub-domain inclusive and basically all the relevant copyleft candy an active Internet user requires with rock-solid sudoers in controll. 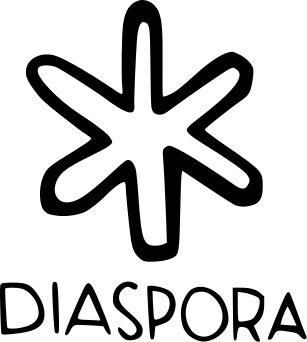 Diaspora* is a privacy, consumer protection and access control focused freesome since 2010. It has wonderful people posting wonderful content. It pioneered the use of “aspects” for finely granulating who gets to see what (you may know these as “circles” from Google+). Pictures uploaded to diaspora* cannot be linked to or seen by others than those aspects that you have specified. GNU social is an easy to grasp and learn no-nonsense contender in the #freesome scene. Pay attention to the URLs you see and you will see in plain text how the software designers. Unintrusive and versatile. https://hub.consumium.org/ running since March 2016. My personal channel is juboxi@hub.consumium.org. Hubzilla utilises the concept of “channels”. You can manage an arbitrary amount of channels from a single login using your email address as your identifier. Each channel has a shorthand address addressname@hub.example.com that other participants of the network can subscribe to. In Hubzilla the login is to the network, not the hub which means that you can bilocate channels between multiple hubs for added data persistence and also fully emigrate a channel to another hub at will. Check out the competition for Hubzilla #freesome users at the-federation.info (also more options for your freesome needs if these three don’t satisfy your quench for freedom from the commercial some profit-making agenda and the useless ads no-one wants to see). https://friendica.consumium.org/network Friendica is the least learning curve for the Facebook refugee wishing to escape the Facebook more and more frequently.